Success! 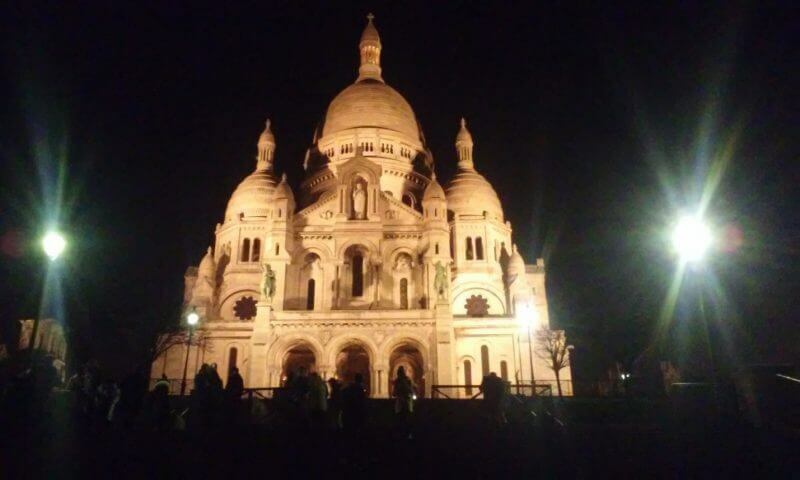 Reader Marius Used Miles & Points for 2 Weeks of Visiting Holy Sites in France! 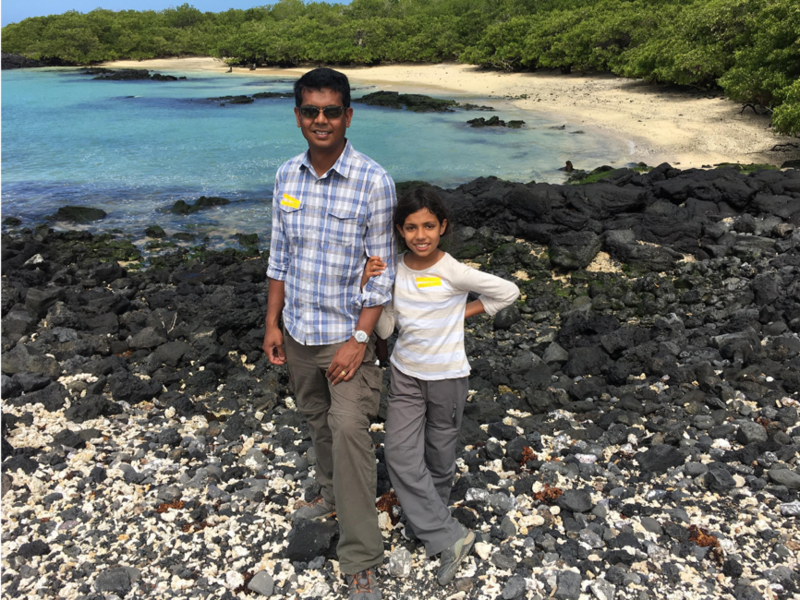 Welcome to the next installment of our Reader Success Series where Million Mile Secrets Readers share how they booked a trip with miles & points to get Big Travel with Small Money! This interview has been edited for content and clarity. Marius is our newest reader success story to show folks it’s possible to travel without spending a lot of money. If you would like to be inspired by more stories like this one, take a second to subscribe to our newsletter! What’s your name and how long have you been involved in the miles & points hobby? My name is Marius, and I have been in the miles and points hobby since 2013. I blog at Heaven-Bound Pilgrim and you can connect with me on Facebook. It all started when I received a letter from American Express with an offer to open the Premier Rewards Gold Card from American Express. At that time, the welcome bonus was for 50,000 AMEX Membership Rewards points after meeting minimum spending requirements (this particular offer is no longer available). I had no idea what the value of 50,000 AMEX Membership Rewards points was. So I did some research online and about a week later, had that gold card in my hands. And I applied for the Chase Sapphire Preferred Card and Chase Southwest Rapid Rewards Premier credit cards within the next couple of months! My goal was to visit 3 places in France: Lourdes (famous for its Marian apparitions and miraculous healings), the town of Nevers (where Lourdes visionary Saint Bernadette’s incorrupt body can be seen) and Paris. 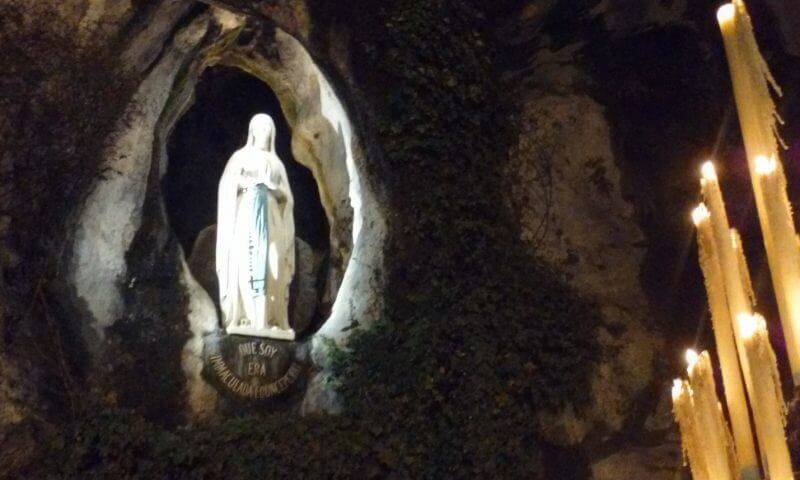 I spent 10 days in Lourdes, 4 days in Paris and half a day in Nevers. I’ve been making similar pilgrimages to other places in Europe about 2 times a year since joining the miles and points hobby. Spiritually, it is a very refreshing experience to leave the daily routine at home, and spend a couple of weeks in the holiest places of the world, focused on the most important thing in my life. Instead of the busy routine at home where I receive only crumbs of my time. I feel I would be dishonest if I said God was at the center of my life. But then during my vacations, when I have more time available for Him, I would be spending that time at the beaches, visiting art museums or palaces around the world. I still go to and enjoy those types of palaces, but visiting them is not the primary purpose of my trips. I used 2 credit card bonuses for this particular trip and got each one of them within ~2 months. So the total time including the time it took to meet the cards’ minimum spending requirements was ~4 months. I flew from Boston to Paris with Aer Lingus using British Airways Avios points. And I used Barclays Arrival Plus miles and an IHG free anniversary night from the Chase IHG card to pay for my hotel stays. I also regularly apply for checking or savings accounts that offer bonuses. And I consider the bonus money as my “travel cash.” For this trip, I used a $300 checking account bonus from Bank of America, that covered the Aer Lingus award ticket fees and flights between Paris and Lourdes. Which cards would you recommend to open for a trip like yours? How did you search and find the award flights? I called British Airways and made the reservations. They usually have good award availability for Aer Lingus flights from Boston if you call 9 to 10 months before your desired departure. I made most of my hotel reservations on Hotels.com and Booking.com. And booked my IHG free anniversary night through IHG. I did not have any major problems with the planning of my trip. Maybe because I made all the reservations well in advance and traveled in February, which isn’t a peak travel time in Europe. Lourdes is a beautiful small town surrounded by mountains. Some of the most stunning scenery of mountains can be seen while walking the Stations of the Cross, that are located on a high mountain. 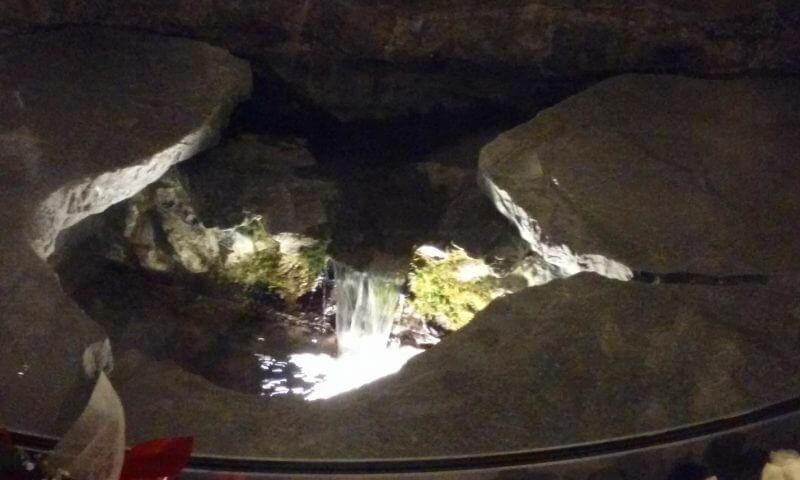 The most visited place in Lourdes is Grotto of Massabielle where the apparitions of the Virgin Mary took place in 1858, and where the miraculous spring of water is located. Pilgrims can drink this water and bring it home. To this day, there have been a lot of miraculous healings reported in Lourdes that have no medical or scientific explanation. Nevers is a small town (~2-hour train ride from Paris) with a monastery where Saint Bernadette (the Lourdes apparitions visionary) lived, died and was buried. When her body was exhumed 45 years later, it was found to be incorrupt and can now be seen in a glass coffin in the monastery’s church. 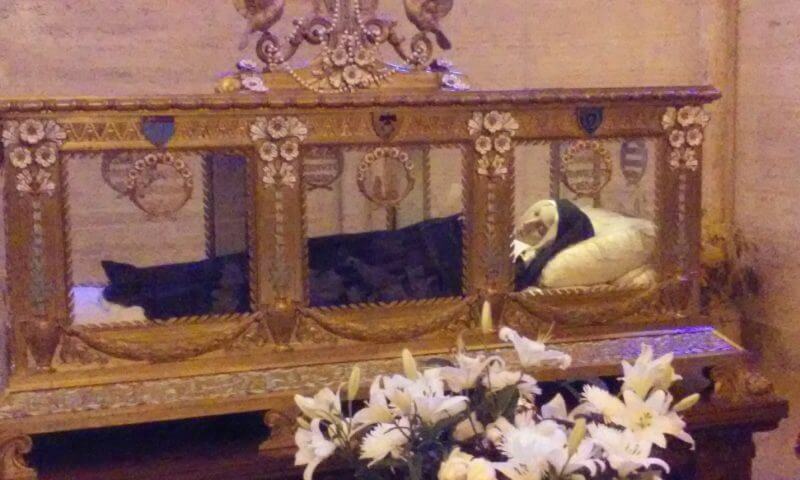 Incorrupt Body of Saint Bernadette Soubirous in Nevers, France: A Continuation of Lourdes Miracle Today? For many years, Paris was at the bottom of my places-to-visit list because I thought it was one of the most secular cities in Europe. But to my surprise, I found a very sacred side of Paris. It was in Paris that a popular Miraculous Medal devotion started, during Marian apparitions in a chapel on Rue de Bac street. The incorrupt body of the visionary of this apparition (Saint Catherine Laboure) can be seen in that same chapel today. The Basilica of the Sacred Heart is not only an architectural landmark of Paris but also has perpetual adoration of the Blessed Sacrament, which has been lasting uninterruptedly since 1885 (even 2 World Wars did not stop it). There is also the Basilica of Our Lady of Victories, where France’s most famous Saint Therese of Lisieux discovered her vocation. And where British saint Cardinal Newman converted from the Anglican Church to the Catholic Church. During this trip, I made a decision to start my blog Heaven-Bound Pilgrim. I realized that during the last few years, I have visited so many holy places in Portugal, Spain, France, Poland, Lithuania, Italy, and Israel, that I needed to start sharing my travel experiences with others so that they could take similar trips. At Heaven-Bound Pilgrim I write how to pay for pilgrimages with miles and points, how to cheaply travel from one place to another using public transportation, what to see at each holy place, where to stay, shop, eat, etc. I also provide the history of each sacred place and write what is spiritually unique and important about it. 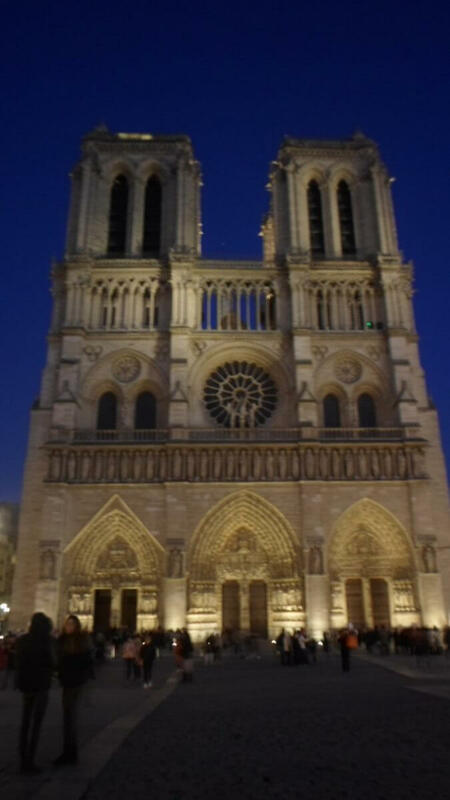 To those thinking about traveling to holy places in France or somewhere else, my advice is this: Plan your trips and make all the reservations by yourself. 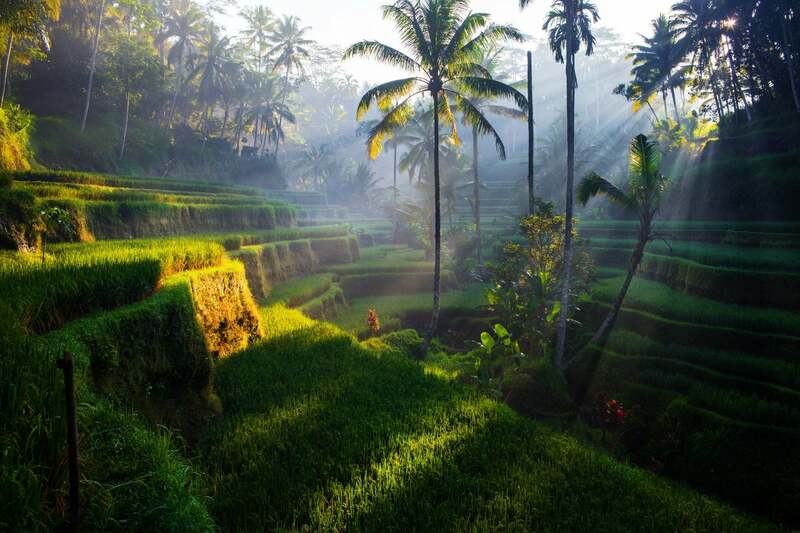 There are travel agencies that can do all the work for you but you will pay $1,000’s. And most likely, someone else will decide how long you’ll get to stay at each holy site, or even worse, you may only see some of those places through the window of a tour bus. With today’s technology, travel planning isn’t difficult and you can do all the planning by yourself. And if you are in the miles and points hobby, the cost of your trip can often be reduced from $1,000’s to $0. If you’d like to be considered for our reader success story series, please send us a note! We would love to hear about how you travel with miles and points! And if you want to get more stories like this one delivered straight to your inbox, please sign-up for our email list!